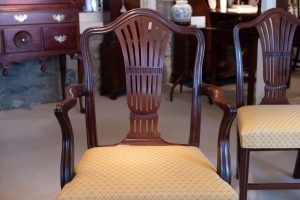 Set Of Twelve George III, Mahogany Carved Dining Chairs, Comprised Of Two Arms And Ten Sides. 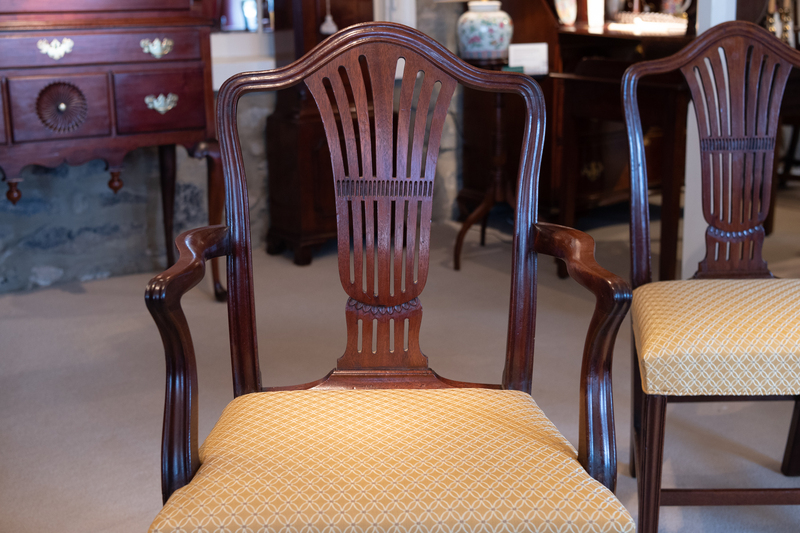 Each With Serpentine Molded Crest Rail Above A Vasi-Form Pierced And Channel And Leaf-Tip Carved Splat. 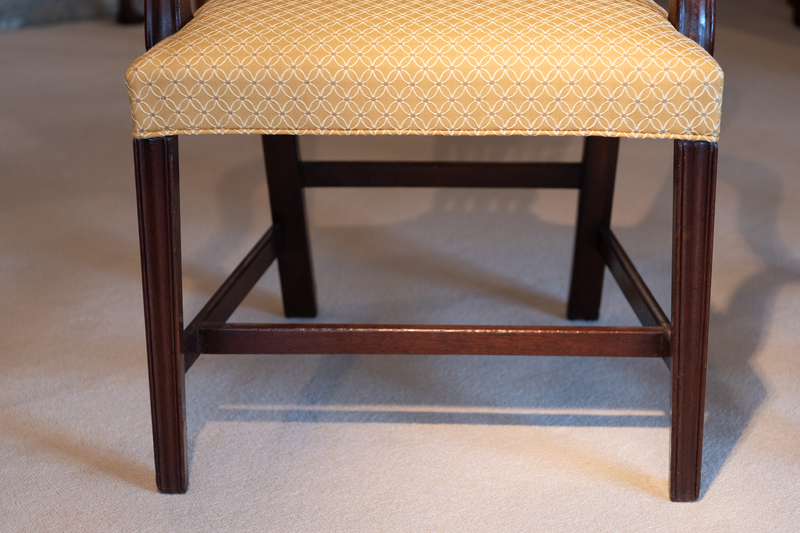 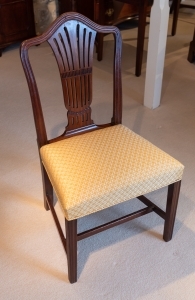 The Over-Upholstered Seat With Buttercup Damask, Raised On Molded Tapered Legs, Joined By A Stretcher. 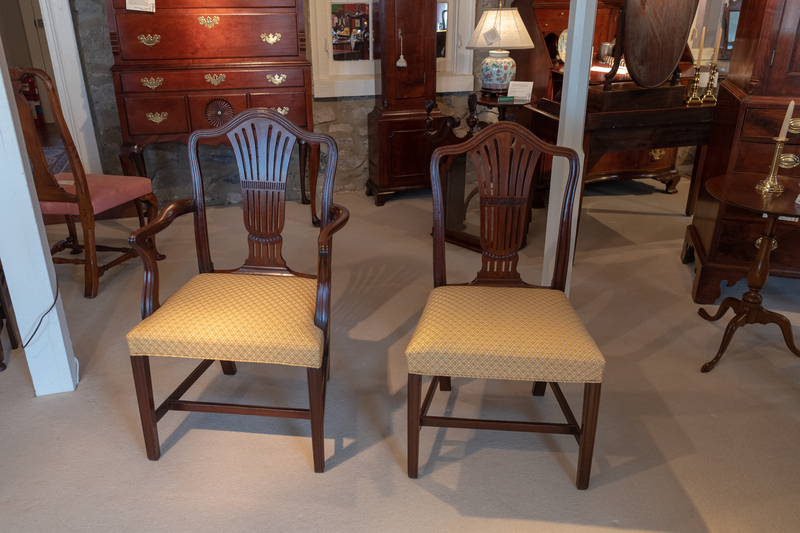 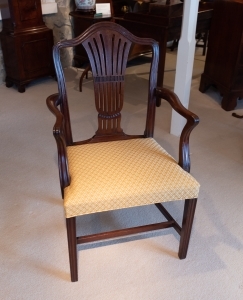 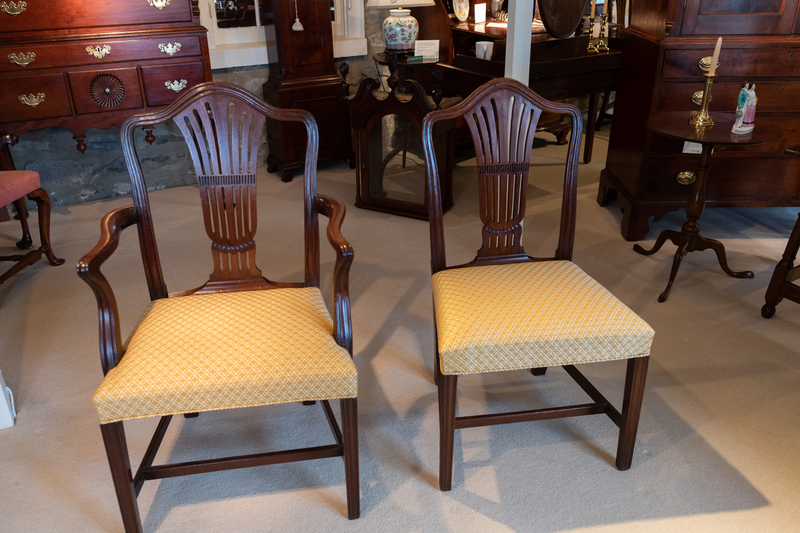 These Chairs Are In Excellent Condition And Finding Twelve Period Chairs Makes The Set A True Find-!